When people think about American wine country, Missouri is not generally the first state the comes to mind, but take a look at everything Missouri wineries have to offer. Back in the 1800's, German settlers traveled from the east coast of the United States, going west. Turns out, one of the things they brought with them from the "old country" were vineyard clippings. Settling near modern day St. Louis, these immigrants began planting seeds for food and the wine clippings with which they had so carefully traveled. The soil in which the seeds were planted ended up not being best for farming vegetables, but the wine vines survived and thrived. By the mid 1800's, the first wine grapes were cultivated and by 1848, Missouri wineries bottled over 1,000 gallons of wine. A few years later, over 500 acres vineyards were planted and the wine produced in these small Missouri towns was being shipped all over the state. The state presently has seven main wine producing regions containing over 60 wineries. The Augusta Winery - This winery produces a few out of the ordinary wines such as: Blackberry wine, Chambourcin, Raspberry wine and Seyval Blanc, among others. The Eagles Nest Winery - Known for it's Buffalo Fort Norton, Mississippi River Rogue, Pikers Blush and Rivera de Sel. Bethlehem Valley - This winery is known for their Chardonel and Norton varietals. Adam Puchta Winery - This winery produces 15 different types of wine including, Jazz Berry, Legacy, Misty Valley and Seyval. Stone Hill Winery - In business for over 50 years, Stone Hill produces 22 different types of wine including, Blanc de Blancs, Cream Sherry, Concord and Pink Catawba. Bommarito Estate Almond Tree Winery - Try this family-owned and operated winery's Almond Tree Blush or the French Oak Norton Reserve. Wenwood Farm Winery - This winery boasts a few out of the ordinary bottles like Kirsch, Kran Rose and Truelese. Peaceful Bend Vineyard - Located in the Ozark mountains, Peaceful Bend produces Forche Renault, Barrel Fermented Chardonel and Courtois, among others. St. James Winery - This winery produces over 30 types of wine. Gloria Winery - This winery features French hybrid and European style table wines. Williams Creek - Try their Vidal Blanc and Catawba wines. Westphalia Vineyards - Located on a former brewery, Westphalia Vineyards boast using only Missouri oak barrels to cask their wine. The Southeast Missouri wine region is home to 20 wineries. 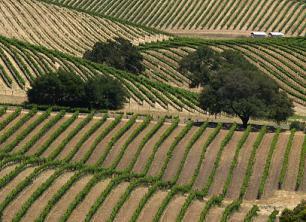 Thousand Oaks - This 60-acre vineyard is open all year round. Sainte Genevieve Winery - Produces over 20 different types of wine including, Elderberry, Pear, Apple and Vidal Blanc. River Ridge - Give the traditional Cabernet Sauvignon, Sauvignon Blanc and Zinfandel a try, but don't forget to take a few sips of the New York Muscat and Serendipity wines offered by River Ridge winery. The central and western wine regions in Missouri are often referred to as the Central/Western region with over 19 wineries calling this region home. Stonehaus Farms Winery - Try the Port, Chardonel, Apple Berry and Apple Cranberry wines offered by Stonehaus Farms. Stone Winery - Enjoy wine in Native Stone's tasting room which is in a 19th century farmhouse. As you can see, there is no need to travel all the way to the west coast to enjoy good wine. With over 60 wineries in Missouri, the next time you are planning a wine getaway, why not take a wine tasting trip to the heart of the Midwest?